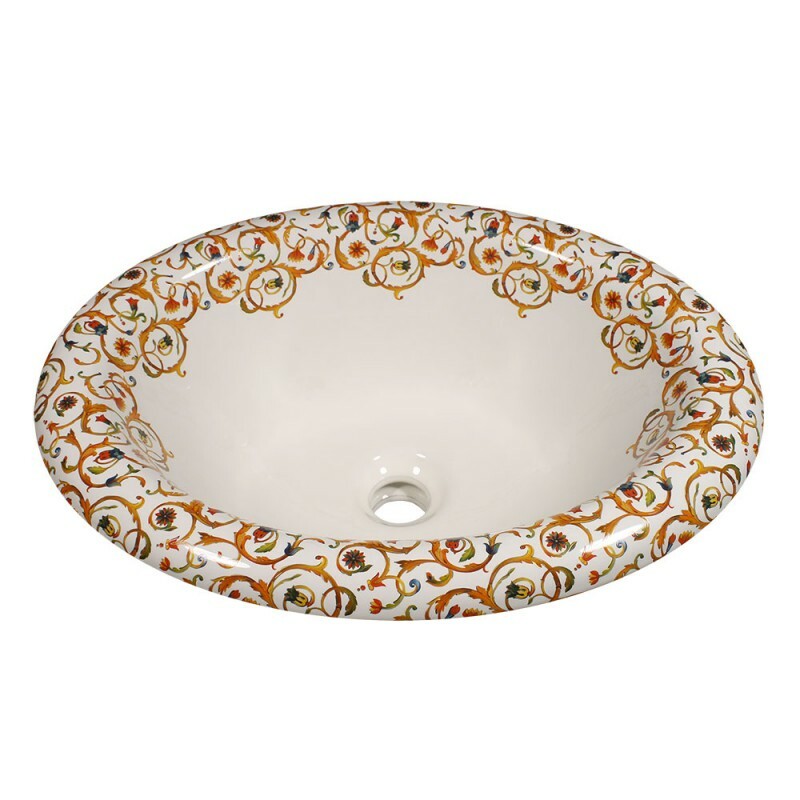 --- Please Select --- Rolled Edge Drop-in Medium - 19-1/2" x 15-3/8" Rolled Edge Drop-in Petite - 17-1/2" x 15"
This is an updated version of the Florentine Painted Sink on a more modern fixture. The design is made up of ornate scrolls with stylized leaves and flowers in shades of gold, blue and red, highlighted with real metallic gold. 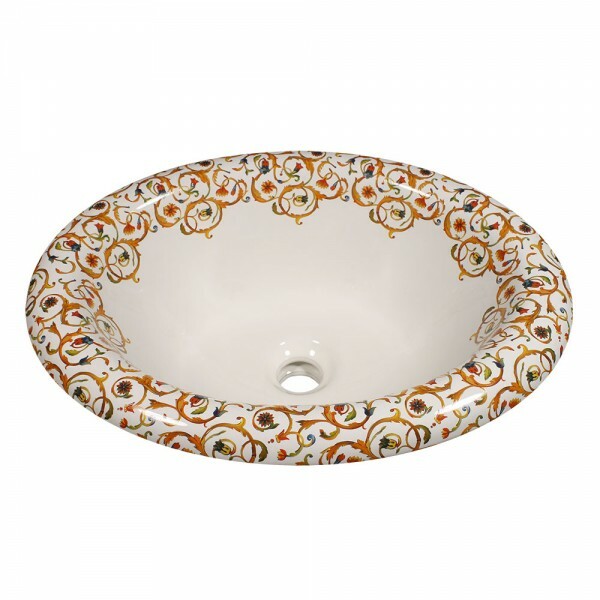 It's an elegant and sophisticated choice for any bathroom and puts a new twist on an old classic on this drop-in sink. Looks great on a white or biscuit basin. 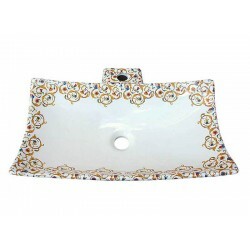 Shown on an oval shaped basin with a big rolled rim which displays the design from any spot in the bathroom. Sink measures 19-1/2" x 15-3/8". Can be adapted to many fixtures. Visit our Fixture Choices page for options. I think it looks fabulous and it's just what I was hoping for. Thank you for your wonderful artistic workmanship. Smiles!